Weibo is a Chinese microblogging website, often referred to as the Chinese version of Twitter. 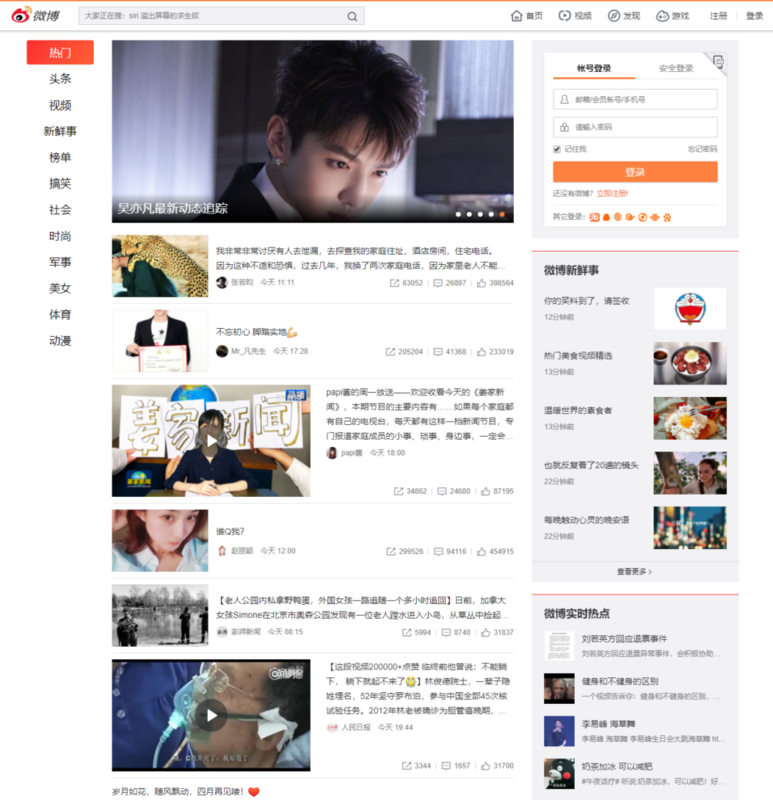 Although it might started as a Chinese equivalent of Twitter, Weibo has transformed over the past eight years to a comprehensive platform that incorporates the major features of Twitter, YouTube, and Facebook. In the first quarter of 2017, Sina Weibo had 340 million monthly active users, 91% of whom were mobile users. Although Weibo implements many features from Twitter – such as the 140-character limit, the possibility to mention or talk to other people using @UserName, the use of #Hashtags, and the retweet (re-post) function – there seem to be quite some differences between how Weibo is used in China and Twitter is used in other countries. For instance, users of Weibo publish more posts than those on Twitter and are more active in reacting on other people and sharing their views. With such a vast and active audience, Weibo offers incredible opportunities for brands to engage with potential customer audiences. Weibo marketing is one of the recommended marketing activities in China, as this digital tool will allow brands to grow brand awareness in China, whilst gathering vital data and insights into Chinese people and their customs, needs and preferences. Furthermore, Weibo has a built-in shop feature that functions as an e-commerce channel by deeplinking to the Taobao/Tmall app. 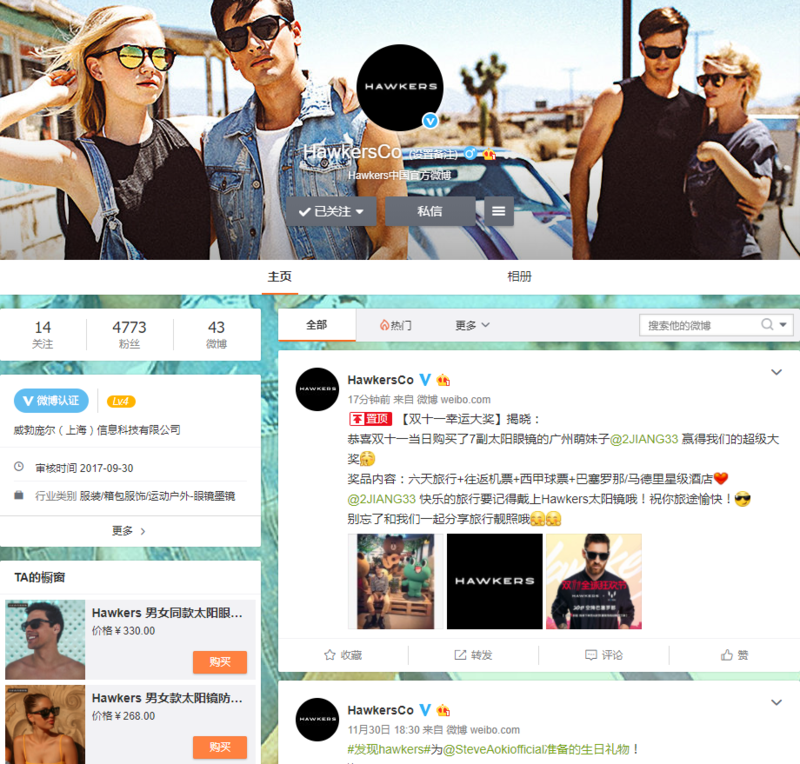 Please read this article for more information on how to use Weibo for e-commerce purposes. And lastly, because Weibo is targeted, brands can utilize precision marketing tactics to reach an already-engaged audience of existing customers and interested buyers.